With a new month comes a reason for new (free!) Project Life cards. 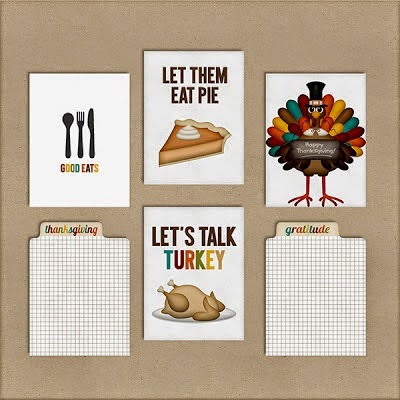 I am focusing on free Fall, Thanksgiving, and cards with gratitude. Feel free to follow the links and grab the free downloads. 1. Up first is a great gratitude free printable from Shana Noel. 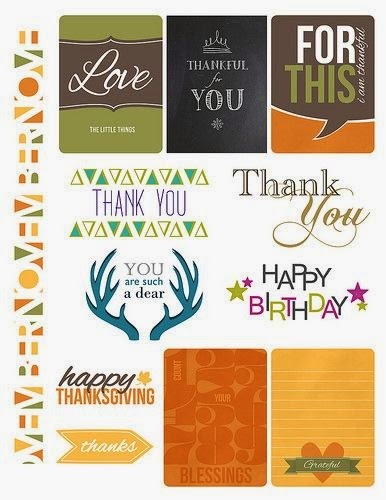 I so love these colors & the sentiments are spot on for the month of November. 2. 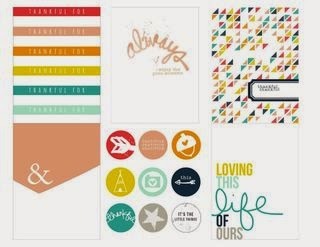 Harper Finch has shared some super adorable Thanksgiving Project Life cards on her blog this weekend. Whimsical and cute, they are sure to make you grin! 3. Vintage Glam Studio has shared these sweet journaling cards and tags. 4. How adorable are these cards from Paper Crafts Magazine? Those antlers are super cute, don't you think? 5. Last but definitely not lease are these absolutely perfect Fall cards from One Happy Mama. The colors. The graphics. I love them all! I definitely will be printing out some of these for my November Project Life. 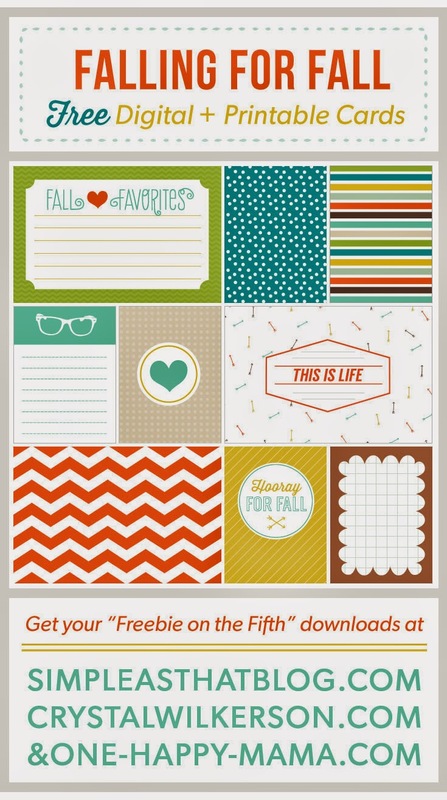 Interested in even more Project Life freebies I have found? 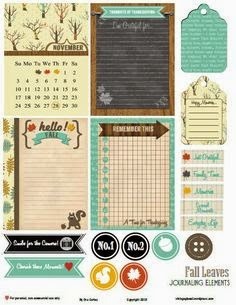 Check out here, here, here and here for even more awesome printables that I have found on the web!